WASHINGTON - One US Marine was killed and rescue teams were searching for 5 others missing after 2 Marine Corps aircraft collided in mid-air and crashed into the sea off the coast of Japan during a refueling exercise, officials said on Thursday. Japanese and American officials said they had so far found 2 of the 7 Marines who had been aboard the aircraft, an F/A-18 Hornet fighter jet and a KC-130 Hercules. "One of the recovered Marines is in fair condition and the other has been declared deceased by competent medical personnel," a US Marine Corps statement said. The deadly crash is the latest in a string of US military aviation accidents around the world in recent years, which have prompted hearings and criticism in Congress over aircraft safety. US President Donald Trump expressed gratitude to Japan for its quick assistance with search and rescue efforts. "My thoughts and prayers are with the @USMC (US Marine Corps) crew members who were involved in a mid-air collision off the coast of Japan," he tweeted. The US military did not speculate on the cause of the collision. "The incident is regrettable, but our focus at the moment is on search and rescue," Japanese Defense Minister Takeshi Iwaya told a news conference. "Japan will respond appropriately once the details of the incident are uncovered." 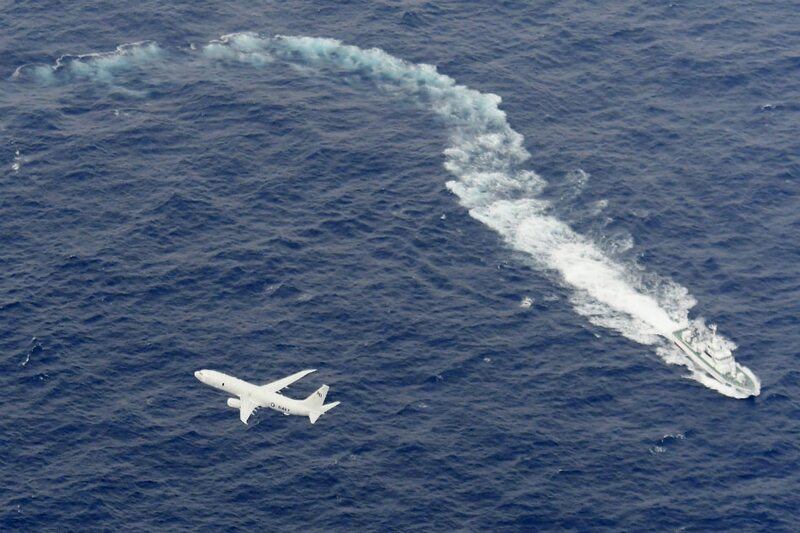 A US Navy P-8A patrol and surveillance aircraft was helping in search and rescue efforts along with Japanese authorities, the Marine Corps said, adding that the incident was under investigation. The incident raises questions about military readiness, something US Defense Secretary Jim Mattis has said is a priority for him. A military investigation said the primary cause of that crash was a propeller blade that went into the aircraft's fuselage. The investigation added that the propeller had not received proper maintenance and corrosion had been overlooked. In August 2017, the US Marine Corps ordered its aircraft squadrons to suspend flight operations for 24 hours to review safety of aircraft. US military accidents are a sensitive topic in Japan, particularly for residents of the southern prefecture of Okinawa, home to the bulk of the US presence in the country. A series of emergency landings and parts falling from US military aircraft have sparked concerns over safety.